T-Mobile has been hit with a fine related to one of its recent limited time offers. Washington state Insurance Commissioner Mike Kreidler has fined T-Mobile $20,000. 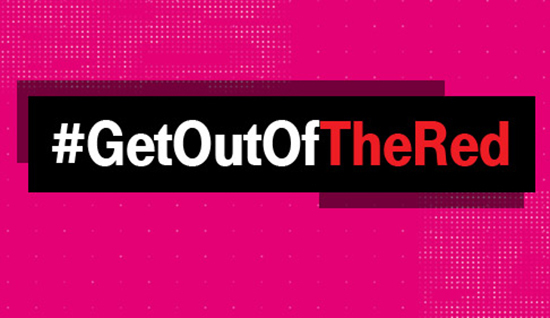 The fine is related to T-Mobile’s #GetOutOfTheRed promotion, which kicked off on May 31, 2017. Specifically, the promo offered to pay off a Verizon customer’s iPhone or Google Pixel when they switched to T-Mo, signed up for T-Mobile One, and signed up for T-Mo’s Premium Device Protection Plus insurance plan for $15 per month. Kreidler explains that this offer is illegal in Washington because it “induces people to purchase insurance.” The offer was available from May 31, 2017 through August 2, 2017, at which point T-Mobile dropped the PDP Plus insurance requirement. During that time, 927 consumers in Washington took advantage of the offer. I’ve reached out to T-Mobile for a statement on this fine and will update this post if I hear back. Hmmm 927 people times $15 = $13905 per month. So I am guessing the $20k fine is not going to affect them much. If most of those people kept the insurance for at least two months, T-Mo made more than the fine. For sure. Totally worth it. I’m sure a majority of those people still have T-Mobile & a majority of that subset still has the insurance. I believe most of the insurance money would go to the insurance company who handles the claims, not T-Mobile. T-mobile deff did, nice carrier, i mean uncarrier move. Do they really expect a $20,000 fine to hurt T-Mobile or make it think twice about pulling a stunt like this again? T-Mobile made that plus some with only two months of insurance payments by the 927 people it illegally took advantage of. I was one of these people, what do I do.